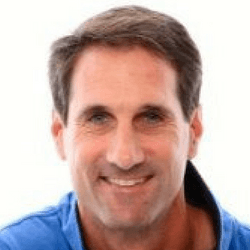 Jeff Greenwald will show you how to become mentally tough and play fearless tennis in this can't miss masterclass from one of the world's foremost experts on mental tennis for tennis players. Jeff is a nationally recognized sport psychology consultant and licensed psychotherapist that has been helping athletes and professionals transform and take their performance and their lives to another level through his personal coaching, seminars, book, and audio programs for the past twenty years. Jeff has been on the speaking bureau for Wilson Sporting Goods for the past fifteen years and a consultant for the United States Tennis Association over the past fifteen years. He has also been ranked #1 in the world in his age group with two ITF world titles, and is a former professional tennis player.